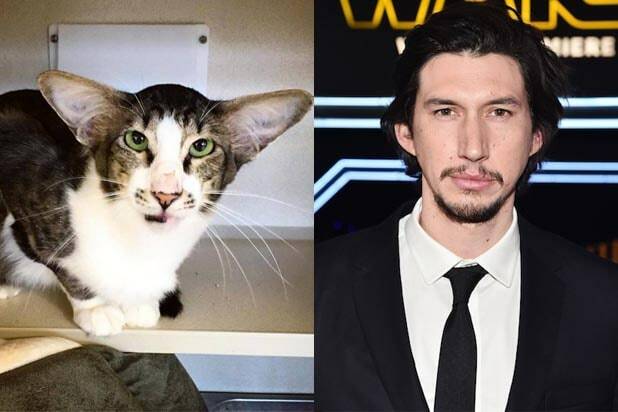 If you thought Kylo Ren was a real sourpuss in “Star Wars: The Force Awakens,” wait until you see Adam Driver‘s feline twin, Corey. The actor’s uncanny resemblance to the cat was first noticed by xoVain executive editor Marci Robin while visiting the Monmouth County SPCA, where she snapped a photo of the rescue animal. The picture has gone viral since it was posted to Twitter on Saturday, and is currently a top trend on Facebook after catching the attention of online tastemakers like Uproxx and Buzzfeed. 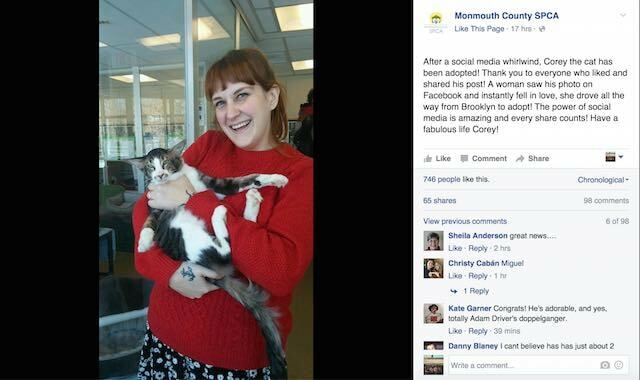 And cat lovers and adoption advocates can rejoice: Corey is no longer stuck in a cage. The SPCA facility used social media on Monday to share that he has been adopted by one of Robin’s friends, Emily McComb, who wrote about the experience for Elite Daily. “When the tweet first went up, I had gazed into the eyes of this cat and felt two things deep in my soul 1) that I loved him and 2) that he was meant to be with me,” she wrote. If you’re still not convinced Corey, a.k.a. 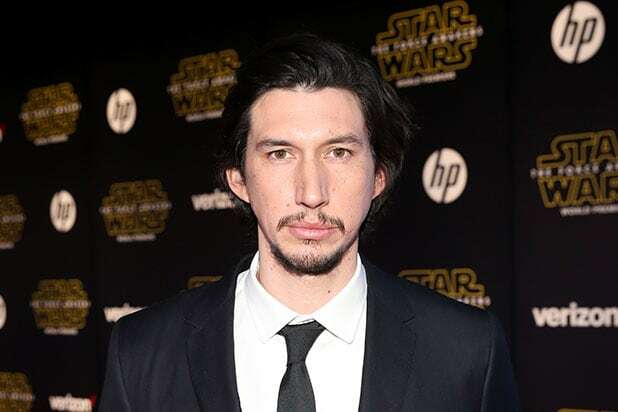 cat Adam Driver, looks like a Hollywood star, here’s a side-by-side photo for comparison. "Mean Cats": For Cady (pronounced "Kitty"), high school is about to get catty as she tangles with the resident popular clique. "Tuna Wonder": Aside from one very fat cat subbing in for Ben Affleck, this Malickian parody is just as dreamy, confusing and meaningful as anything the great auteur has ever done. "Purranormal Cativity": The found footage genre reaches peak cuteness as ghostly, furry critters are caught on camera jumping, tackling and playing after unsuspecting humans have gone to bed. "Titanic": The Pet Collective reimagines James Cameron's epic romance with cats, complete with a paw print in the fog. "Jedi Kitten - The Force Awakens": A warning to goldfish and cat owners everywhere: Beware the day cats learn to harness the force. "The Notebook": You think Ryan Gosling and Rachel McAdams were cute? Try this Nicholas Sparks tearjerker love story again, with kittens. "Catnado": What this Syfy spoof lacks in high-tech special effects, it more than makes up for in sheer volume of kittens on screen at the same time. "Jurassic Park" Cat Raptor: Proving once and for all that cats can be as menacing as raptors, this parody inserts cats into the famous kitchen scene from Steven Spielberg. "Catanic": Jack paints Rose like one of his French kitties in this Lifetime parody. The final product is impressive for a cat with no thumbs.